Learning Center>How Long Do Solar Panels Last? Have you ever wondered how long solar panels last? This article will try to answer that question as well as give you some ideas on how to make your panels last longer. The fact is, this is a hard question to answer. It’s almost as hard as telling someone how much money their solar panels will cost. There are a variety of different factors that will change the answer to both of these questions. What types of panels are you using? How is your system set up? Where do you live? What time of year is it? What’s the climate like? Do you perform routine maintenance regularly? All of these questions and more must be factored into the lifespan of your solar energy system. That being said, the Federal Trade Commission estimates that many solar panels last for about 20 years. Of course, that number is just an estimate. At Vivint Solar, however, we’re so confident in our solar energy systems that we offer a 25-year warranty on the solar panels. What’s more important than the finding a hard number for your solar energy system’s lifespan is understanding what will decrease its efficiency over time, and how to prevent those inefficiencies in the future. What Makes Your Solar Panels Become Less Efficient? Not all solar panels are created equal. There are different kinds of solar panels and they all work in different ways. 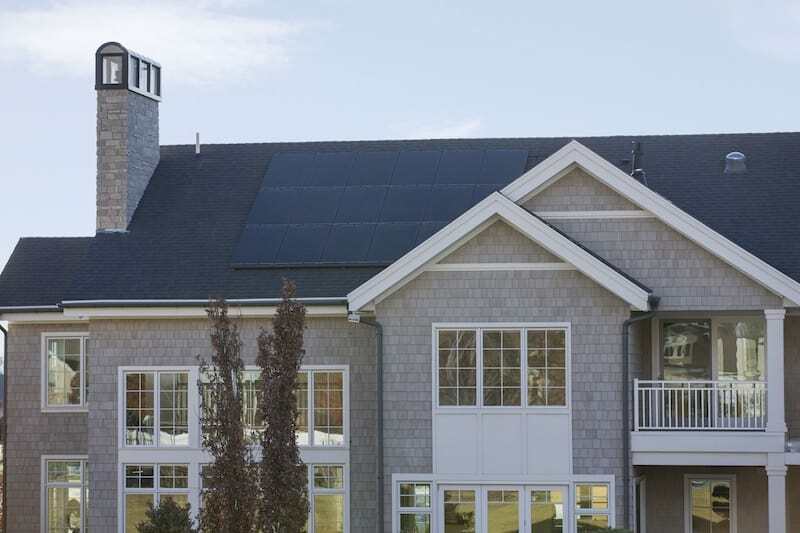 These three panel types convert energy at different rates. For example, the multi-junction panels are the most efficient panels converting around 40% of all solar energy. Compare this to the monocrystalline solar panels which convert a maximum of 20% of all solar energy. So from the start, different panels will have different definitions of efficient. That being said, there is a generally accepted conversion rate that gives users a range of normalcy that you can expect from your solar energy system. This range will change based on the design of your coverage area and the amount of sun you experience, but there’s still a range for any given system. Regularly checking your solar energy system’s conversion rate will help you get an idea of what your system’s range is. 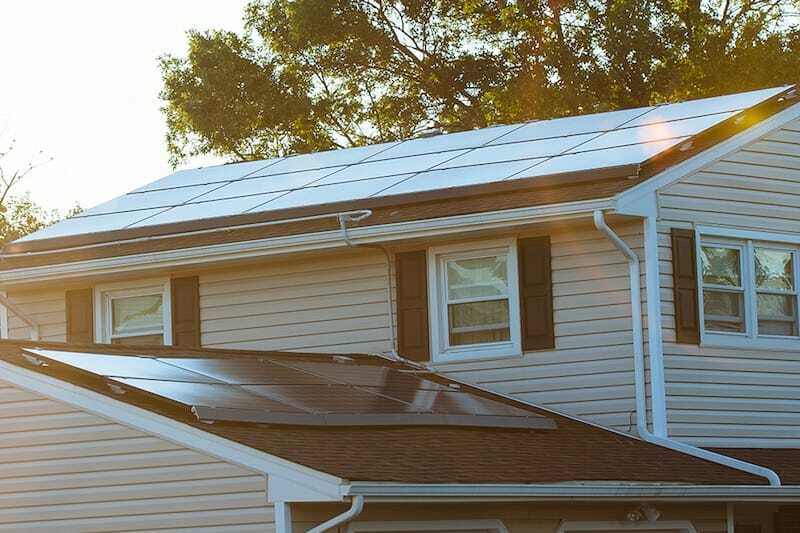 Even when considering that there is a range of normalcy, when you compare similar panels to one another, there are still many factors that can make your solar energy system less efficient. Here are just a couple of the factors that make your system less efficient. Rain - Rain can create corrosion on your solar panels if they are not installed correctly. This corrosion can reduce your panel’s ability to convert the sun’s rays into clean energy. Corrosion can also wear at the metal framing. Wind - Wind is usually a non-issue, however, that’s not always the case. If a wind is strong enough, it can cause the entire solar panel to vibrate. If your panels experience enough vibrating, the bonding that is holding different parts of the solar energy system together can come apart. Think of it as if someone is shaking another piece of equipment in a way that it’s not supposed to. With enough shaking the whole thing will come apart. The wind does the same thing. Heat - Heat can make the panels more brittle. The more brittle the panel, the more likely moisture can penetrate the surface. The more moisture gets into your solar energy system, the more likely you will experience a reduction or energy. Additionally, high heat can cause cracks and break away the binding of the panel. In some cases, heat can also cause discoloration which can further decrease the efficiency of the overall solar energy system over time. Snow - Snow can cause similar problems as heat. Like high temperatures, freezing cold temperatures can cause panels to warp, cells to crack, and frames to break apart. Over time, general wear and tear can cause up to a .5% efficiency loss every year. It should be noted that this half a percentage point is the high end of lost efficiency. Even though that’s not a big loss, many homes do not even experience losses that high. Some older solar panels included in the study operate at 88% of their original efficiency 25 years after the fact. That’s a testament to how small the loss in efficiency is. What Does This Mean For Your Energy Savings? In the end, you will experience a slight loss in efficiency with your solar energy system like you will with any equipment or technology at some point or another. But as you can see, the amount of loss is fairly low and insignificant, especially if you practice proper maintenance. Much like how it’s hard to answer the question, “How much do solar panels cost to install on my home,” it’s hard to answer the question, “How long do solar panels last?” There are so many factors that will affect your home’s system differently from someone else’s. Although we expect that your system’s cost efficiency and its cost of repairs will be low, any answer we could give you would only be an estimate. More concrete answers require an expert visiting your home to analyze your specific system. That being said, there are steps you can take to maintain and care for your solar panels so they last longer. How To Make Your Solar Panels Last Longer? There are many ways to optimize your solar energy and your solar panels. Here are just a couple of ways to make sure your solar energy system lasts as long as possible. Keeping your solar energy system running efficiently is not hard. Just take care of your solar panels and have an expert look over the whole solar energy system once in a while. Vivint Solar was founded in 2011 with one purpose, to provide people with simple, affordable, clean energy. Every day we work hard to meet that goal. If you’re looking to save money, and want a solar energy system professionally installed in your home, then contact us today. Get a quote and say hello to clean, renewable energy. How much do solar panels cost to install on my home?